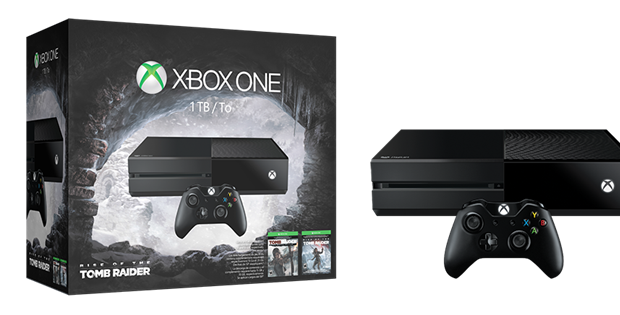 The first of Microsoft’s five Xbox One bundles being unveiled this week has been announced, and it features Rise of the Tomb Raider. The bundle will come with a 1TB Xbox One console, a digital copy of Rise of the Tomb Raider with an exclusive outfit and weapon skin, and a download code for the Xbox One remaster of 2013’s Tomb Raider reboot, Tomb Raider: Definitive Edition. A post on the Xbox Wire confirms that the bundle will cost $399, and will be available in all markets Xbox One is sold in other than Canada, China, and the UK. Rise of the Tomb Raider is coming to Xbox One and Xbox 360 on November 10th, and PC and PlayStation 4 in 2016. The sequel won’t feature the Tomb Raider reboot’s multiplayer mode, but will have some online functionality.